Psa. 133:2 It is like the precious oil upon the head, running down on the beard, the beard of Aaron, running down on the edge of his garments. Psa. 133:3 It is like the dew of Hermon, descending upon the mountains of Zion; for there the LORD commanded the blessing—life forevermore. Picture this; you have two people in a boat. 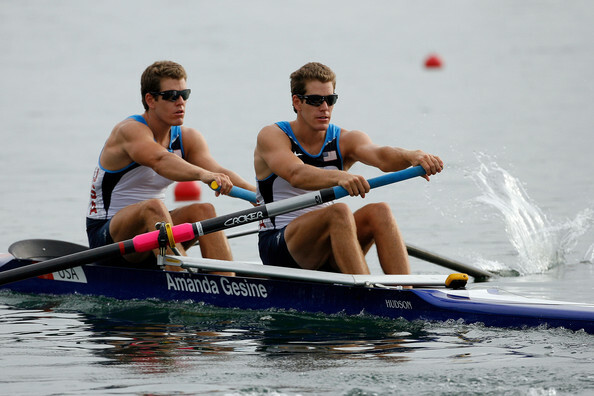 One is facing toward the front, the other is facing toward the back and they are both rowing. They are both working very hard at trying to get to their destination. Each is putting out all the effort they can, and yet where are they going? Nowhere. One says the way they are going is the right way while of course the other person disagrees and says their way is right. Most of the time these differences are based on what man wants and says and not what God’s Word says. But what if they got on the same page? What if they were able to put their differences behind and focus on what God says is the primary goal? If they could do so and both get faced the same direction now as they start to row they are going to see results. The effort they are now putting out is getting them where they need to go. They begin to see progress and change. This has of course always been a problem for the body of Christ, and the devil loves to create disunity. When you even look at the history of world leaders the ones that have accomplished the most are those who do not compromise the key principles that one must stand for, but they are not someone who thinks they have all the answers either. They focus on getting to know the other person, instead of just trying to fulfill their agenda. In other words they are not focused on self. Sounds like Jesus to me as He said He did not come to be served, but to serve. Here in Psalm 133 we see the power that is the result of unity. Scripture reveals it is pleasant and good for brethren to dwell in unity. He relates it to the anointing oil that was used to anoint Aaron the priest. This anointing is described here as running down over every part of Aaron and his garments. It is described as the dew of Hermon that would fall upon the mountains of Zion, which brought forth growth and therefore God’s blessing. Is it possible for the body of Christ to walk in unity? It is if we will do some key things that scripture reveals as to how we walk unified in Christ. I want to share those things with you this week. Before we go any further we understand that scripture does reveal there are those whom we cannot unify with. Scripture does warn us of heresy, and it warns us of believers who have chosen to create division and dissention through strife. As scripture warns where strife and division exist there is every evil work. So anyone who understands scripture knows that there is no way we are going to unite with everyone. Not even the apostles in the New Testament could do so, yet within the body of Christ there is still much division, which is usually the result of believers majoring on the minors instead of majoring on the majors. Christians could be much more unified then we are. This needs to start within each local body of believers and work outwardly. If churches individually continue to walk in disunity they are going to have a hard time getting in unity with other believers. The first and biggest key to unity would have to be walking in the love of God. When we yield obedience to this very first fruit of the recreated human spirit, the unconditional love of God, we will like Jesus get our focus off of self and begin to focus on loving one another. John reveals to us by inspiration of the Holy Spirit that for someone to not love their brother and yet say they love God could not be true. If we love God we must also love our brothers and sisters in Christ. 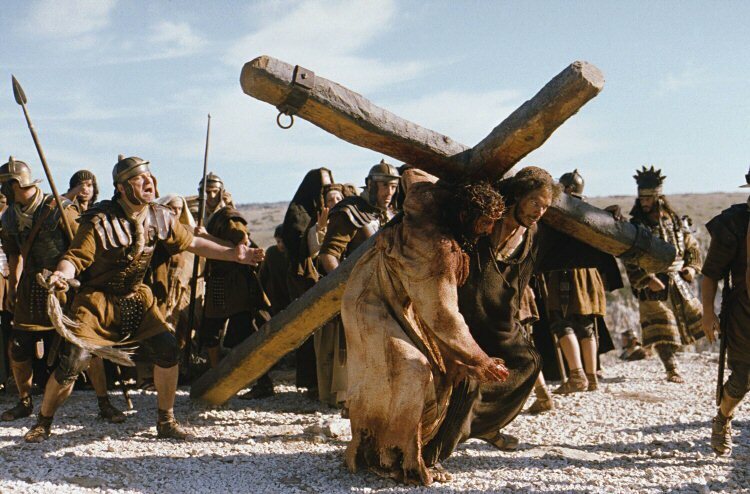 This is what Jesus did when He referred to coming as one who did not want to be served, but to serve. He revealed this clearly to His disciples when at the last supper He got up girded Himself with a towel and proceeded to wash His disciples feet. He then told them to do likewise. One of the keys to walking in this same love that Jesus walked in begins with our actions. The love of God was shed abroad in our hearts by the Holy Spirit when we were born again. That love just like faith does no good without actions. As James speaks of faith that has no action is dead, so it is with the love of God. That love is in us but we must exercise that love just as we must exercise our faith. Many don’t realize that if you want to get good at walking in love just like anything else you do in life, you must practice doing so. Walking in the love of God is as simple as treating others the way you want to be treated, even when they are not treating you the way they should. The reason this is difficult for some to do is because they allow their flesh to get in the way. This is why Jesus said we must crucify the flesh. To deal further with the flesh we must develop our spirit man. Galatians reveals that when we are walking in the spirit, governed by our spirit man, we will not fulfill the desires of the flesh. The flesh does not want to treat others the way you want to be treated unless that other person is showing you that kind of love. But Jesus Himself said if you only love those who love you then we are no better than a sinner. So development of our spirit man is vital, which is done by becoming spirit conscious, feeding on the Word of God, acting on the Word, and walking in love. Look for opportunities to walk in the love of God with those who don’t seem so lovely. The more you practice doing so the better you will become at walking in love. 1 Cor. 1:10 Now, dear brothers and sisters, I appeal to you by the authority of the Lord Jesus Christ to stop arguing among yourselves. Let there be real harmony so there won’t be divisions in the church. I plead with you to be of one mind, united in thought and purpose. 1 Cor. 1:11 For some members of Chloe’s household have told me about your arguments, dear brothers and sisters. 1 Cor. 1:13 Can Christ be divided into pieces? Was I, Paul, crucified for you? Were any of you baptized in the name of Paul? Another big key to unity and this is a must for every local church is to be of one mind, united in thought, and purpose. There are those who may think this is not possible, but scripture would never tell us to do something we cannot do. This was a problem in the church at Corinth that was causing disunity. They were not of one mind, thought, and purpose. Notice that in verse 12 it begins to show us that they were divided because they were all associating with someone different thinking this made them superior to others. We need to be grateful for godly leadership, and remain submitted and humble unto God. The key here is for the body of Christ to first and foremost recognize the leader God has placed in the church for their development and growth as a believer. When you have people going to multiple leaders trying to get their way they are out of order. In the home the dad and mom need to be on the same page so that there won’t be the difference of opinions being given to their children. They won’t always agree as to what they think is right for their children, but if they will do what they can to stick to the Word of God and not personal opinions, this will help eliminate a lot of those problems. In the church God does provide different forms of leadership but the pastor needs to make sure he is establishing leadership according to scripture. That leadership needs to support the vision of the pastor. We won’t always agree on how to do things, but if we are heading toward fulfillment of our vision we will get there. Believers need to realize they won’t always agree with everything their leadership believes or does, but the key is to stay focused on the vision of that body. This is where our focus must be. I have made the mistake in the past thinking I could not work with others in the body outside of our church that did not believe just like we do. This was a huge mistake on my part. I have learned that if there is anyone who has a vision that lines up with scripture then I can agree to disagree with our differences and focus on working with them to reach that vision. This is how we learn to be of the same mind, thought, and purpose. It did not say we would all be of the same beliefs. So if we can work at walking in love and keep practicing doing so, willing to forgive others when they don’t, we can begin to see the power of unity established. We need to get focused on the vision and not on our differences in our doctrine that are not leading to heresy. We must quit trying to prove each other wrong and start focusing on getting faced the same direction in the boat. As we do we begin to see great things happen. People’s lives will begin to be transformed and changed to the glory of God!